© 2019 Restaurants Cafes & Lounges. All Rights Reserved. A leading supply brand in consumables to sectors such as “ Banking, Aviation, Food, Retail & 3PL “. 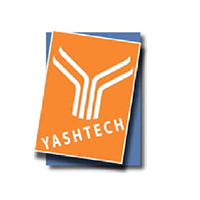 Yashtech – being developed, maintained and professionally run by well expertise team, who have been in the industry having been gained excellent experience in technical, operation, pricing and marketing, for solution provisions to industries such as Banking, Aviation, Food & Retail. On regular intervals – we have been a source of solution provider to complicated issues – right from printing solution to customer care, to one and all customer driven markets. filmecho/filmwoche is a weekly trade magazine for more than 70 years now and an inherent part of the German speaking film-industry it. filmecho/filmwoche is the official magazine of the Association of German Cinemas (HDF Kino e.V.). 60% of the readership are cinema-owners. Food & Drink International is the independent voice of the food and drink supply chain – in print and online. Established for over twenty years, the magazine is a trusted source for industry news. Available via subscription, online at www.fdiforum.net and at numerous events, Food & Drink International is read by the people who matter at many of the sector’s leading names. EME Outlook is a digital and print product aimed at boardroom and hands-on decision-makers across a wide range of industries in the region. With content compiled by our experienced production team ensuring delivery to the highest standards, we look to promote the latest in engaging news, industry trends and success stories from the length and breadth of both Europe and the Middle East. The magazine is owned and published by Outlook Publishing, who also produce global business titles, Asia Outlook and Africa Outlook, providing a superb platform for advertisers and media partners to showcase your services and place you in the hands of the continent’s most influential people. Published monthly by Roma Publications, Premier Hospitality is a subscription-based publication, showcasing all the best hospitality projects throughout the UK and abroad. From Michelin star restaurants and innovative bars to prestigious clubs, 5*hotels and more, Premier Hospitality has it covered, with interviews from many of the industry`s biggest names, including leading interior design practices, architects, chefs and hoteliers. Launched in October 2012, Premier Hospitality is a full-colour, 100+ page, glossy magazine, which is available in both print and digital formats. Premier Hospitality is packed with features, news and beautiful imagery and has previously included features such as Manchester House, Celtic Manor, Hotel Chocolate and Yo! Sushi, to name but a few. Travel And Tour World proudly promotes more than 100 international travel trade events as media partner including WTM London and ITB Berlin and China, AIME , Arabian Travel Market, Imex Events and many more. The magazine is distributed in the travel trade shows to the decision makers of the global travel industry. While engaging more than 250,000 readers along with easy accessibility from iOS and Android devices, we offer cost-effective advertising options for global branding. Spanning the entire value chain of the flourishing food and beverage industry, our dedicated publication covers everything from raw materials to processing, packaging and retail. With decades of expertise covering industry at the sharp end across Europe, Asia, the Middle East, Africa and the Americas, our specialist magazine – ‘Food & Beverage Networker’ – leverages on such knowledge to collate the very best insight from across the sector. The magazine’s core readership is key decision-makers and senior executives from leading companies operating within each of the major F&B supply chain segments. Providing fresh insight for a new industrial era, we provide on-point comment, engaging reports and relevant analysis of today’s foremost developments across the food & beverage space, encompassing the emerging trends in trade, market challenges, environmental issues and technological innovations that are informing the operations of today’s F&B industrials. Refreshment magazine focuses on the water coolers, office coffee services and vending sectors. While also taking an in-depth look into products for vending from bottled water and drinks, to snacks and confectionery. It also focuses on hydration, health and wellness, new technologies and environmental and social responsibility issues. Each day, the event will be concluded by a post event reception in a themed setting, offering refreshments, entertainment and a fun and relaxed atmosphere for the event attendees to mingle and further nourish their friendships and business relationships. The reception of last day’s event will be a mega post even t party, packed with many surprises and fun elements for the attendees. Expanding its scope as a cinema industry event with the aim to engage, wow and inspire, the 2019 edition will include several international and regional content screenings, with the opportunity to interact with cast and crew of some of these feature films. Expanding on the 2018 edition which unveiled the 20th Century Fox’s 2019 slate content, the 2019 edition will include several slate presentations conducted by leading regional and global studios in an exclusive setting. These events are accessible through invitation only exclusively for regional cinema exhibitors. The event will include many private meeting facilities available to the delegates and sponsors to conduct one-on-one or group meeting in an exclusive and private setting. The meeting rooms are available by request and will be booked for the Forum clients on request basis. New to the 2019 edition, the event will include workshops and masterclasses on key critical topics for a more interactive and hands-on learning format, delivered by global leaders, to help enrich the learning and development opportunities at the forum. Delegate and attendees can choose from topics that are applicable to them for advancing their knowledge or expertise in a key critical area. The largest exhibitions of its kind in the region, and amongst one the largest cinema expos globally, the exhibition floor will include over 100 stands showcasing the latest technologies, material and equipment in the cinema industry and entertainment space. The expo floor will also include exciting and interactive events including but not limited to floor talks, product demos, themed entertainment, mini screenings, an AR/VR zone and rest and refreshment areas. The forum will include a conference across 3-days, led by global leaders and covering key critical themes and topics for the industry in the region. The conference will include keynotes, technical presentations, panel discussions and live debates. It provides the opportunity to learn facts, stats and updates from the best industry under one roof and interact with the best in the industry. Media & Entertainment Association of India (MEAI) is a trade body representing Indian Media & Entertainment sector. MEAI membership comprises of media houses, animation and vfx companies, apps and gaming companies, journos, education institutes and other M&E entities. MEAI facilitates networking, promotes businesses through trade delegations and B2B meetings and marketing support to Indian IP promoters/developers. MEAI also plays an advisory role and facilitates industry government interactions. DCinemaToday, online since 2003, is global resource for cinema professionals. DCinemaToday is focused primarily on the exhibition and distribution segments of the industry, particularly digital projection and immersive sound, laser and LED illumination, and other new technologies. DCinemaToday provides information about relevant companies, products, news releases, events, and much more, linked in an interactive format. DCinemaToday is supported by the industry’s leading technology, equipment, and services providers whose logos and information can be found on the left of each page. Industry Networks is a leading provider of construction intelligence and informatics in the Middle East & North Africa. BNC (Business News for Construction), a flagship project intelligence service of Industry Networks, is used by thousands of business leaders and construction industry professionals around the world to track developments, gain insight on projects and do business in the construction industry. BNC tracks projects from concept to completion and offers a range of comprehensive and pertinent information including key details of property developers, consultants, contractors, sub-contractors and suppliers involved with a project. BNC covers construction project of almost all sizes, across all sectors including urban construction, mega-developments, transportation, utilities, industrial developments and oil & gas.